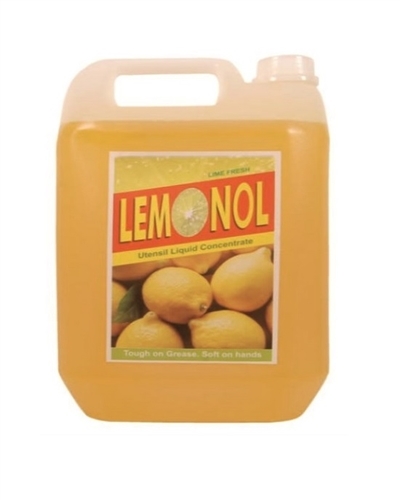 LEMONOL Utensil Liquid Concentrate is a tailor made formula for general cleaning and degreasing of utensils, glassware, crockery, cutlery in restaurants, hotels, canteens, homes etc. Safe on hands and has a pleasing Lemon fragrance. Use as desired by diluting in water to make a ready to use solution.